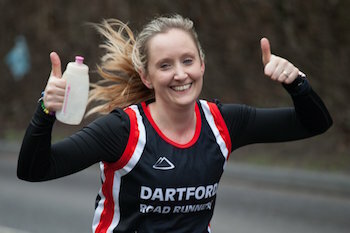 Dartford Road Runners offers two levels of membership, depending on the level of involvement each runner wants from the club. Our standard level of membership for first-claim runners is £40. This includes the affiliation fee to England Athletics. For runners who are already affiliated to EA through another club, and wish to join us as a second-claim member, the annual fee is £30. All membership fees are payable in April each year. Alternatively, we offer a free associate membership, for those who just want to keep in touch with the club via emails, social events, and our Facebook group. Declaration - I wish to join Dartford Road Runners in the capacity chosen above. I agree to abide by the rules of the club (set out in the club constitution) and also to those of England Athletics.